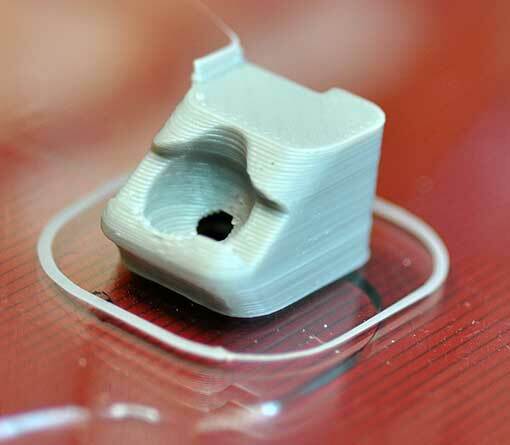 I have always had trouble printing small parts and overhangs, because I was too lazy to add cooling to my hot end tip. 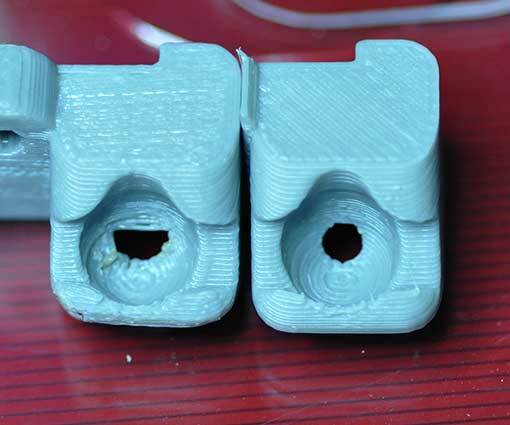 I sometimes used to just blow a USB fan at the printer, but this has two bad effects: 1) the cooling isn’t localized enough, so it doesn’t work very well, and 2) the unfocused air flow cools down the heat bed, which can cause the print to detach. I looked at a bunch of fan shrouds that other people have been using, and didn’t like the way that most of them still leak a lot of air onto the hot bed. 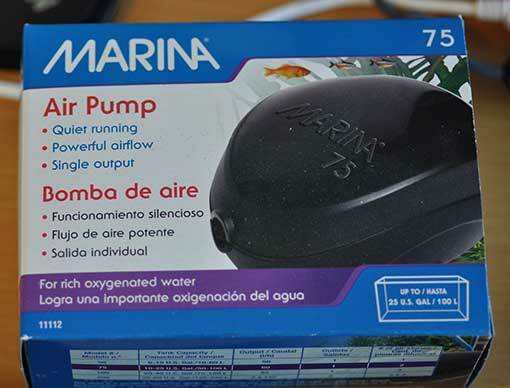 The thought occurred to me that the air coming out of the hose of an aquarium air pump is quite focused, so I decided to hack something together to test it out. 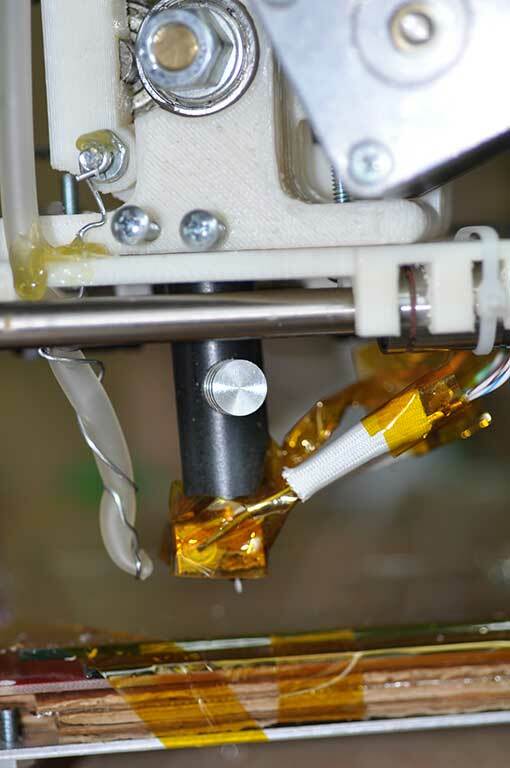 The cooled part was a perfect, tight fit for a 3/8″ steel ball bearing. I was amazed how accurately the part came out. Being the lazy person I am, I’m going to keep the jerry-rigged setup until it falls apart. So far, it’s been holding up quite well, allowing me to print out all of the parts for the Kossel-Linco delta printer that I’m designing. There are 3 main downsides to using the fish pump rather than a fan: 1) the pump is rather noisy 2) It uses AC power, so a relay is needed in order to control it via software, and 3) it’s difficult to control the air flow by software. What I’ve been doing is to start the print with the pump off, and then turn it on after the first few layers are done printing. 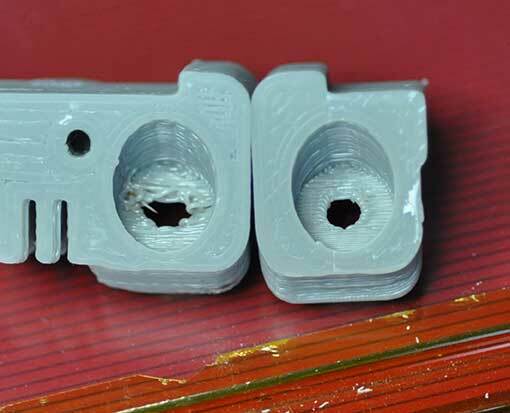 There are 3 Comments to "RepRap: Fish Pump Hot End Tip Cooling"
Ps I have the mk3 hot-end and feel the same about it. Very solid bit of kit. I’ve been printing exclusively w/ PLA. Sorry, typo. I meant that I print exclusively with ABS.